Studio Art Direct was founded by Janelle Baglien, an artist, environmental graphic designer and and former anthropologist. The alchemy of this 30 years of experience is our secret sauce for success. 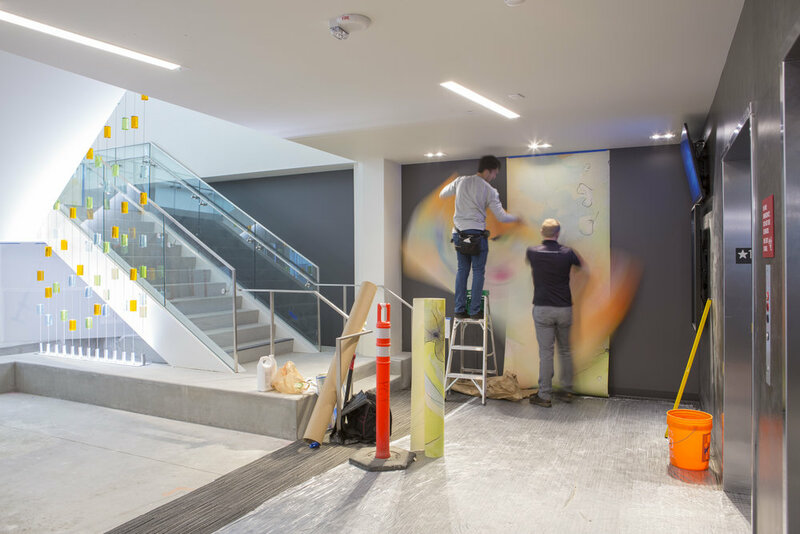 Knowing how to communicate with artists and architects, design and build project specific installations, and most importantly, understand the relation humans have to art in architecture is what makes Studio Art Direct the West coast’s premier art design consultants. We bring this unique perspective, vast knowledge and a deep bench of talent to every project we commit to. Unlike other corporate art consultants, we do much more than hang pictures on the wall. Many art advisors and publishers are rebranding themselves as art consultants right now but they simply do not know how to handle the complexities of a project from concept to completion, especially with the current trend of art in architecture - large scale installations. Only experience, and a few mistakes along the way, will teach you how to create a design that is extraordinary while meeting budget, timelines, and client goals. Since 2006, we have placed over 10000 works of art by regional artists in hotels, hospitals, medical office buildings, corporate offices, city gateways, and public buildings. We have been a champion of regional artists working with hundreds of local artists and craftsmen in cities from Seattle to Los Angeles. What’s our favorite part of the job? Working with designers willing to push the envelop and writing checks to artists!